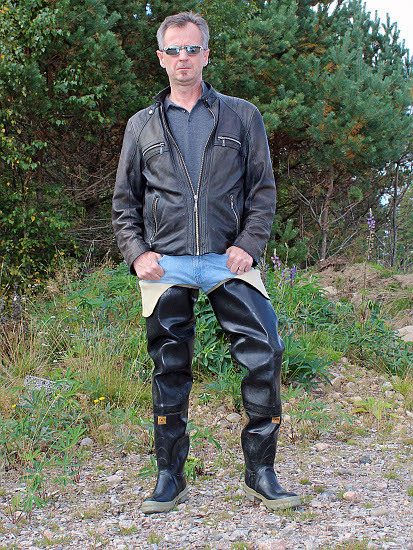 I'm a 49-year-old regular guy living outside Stockholm, Sweden. 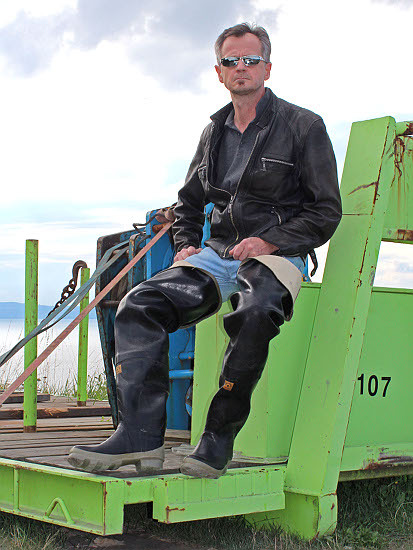 boots and waders. I have them always on in all my spare time. 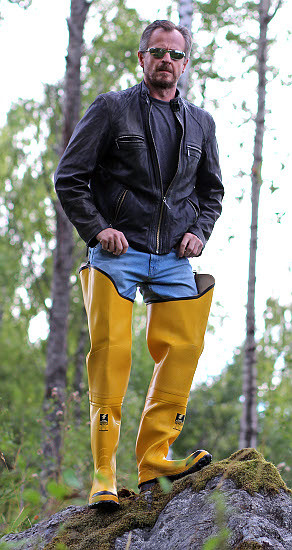 pairs of wellies. 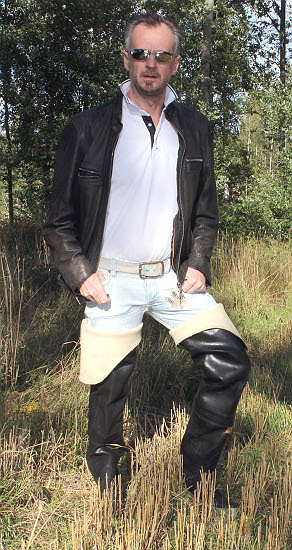 I hope my pictures will be of your liking. 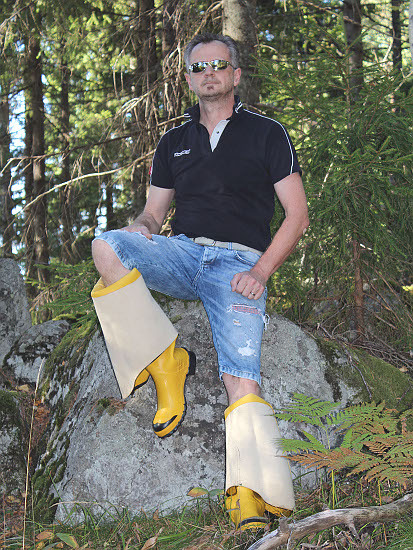 Here Patrik is wearing his Servus Dielectric Waders. 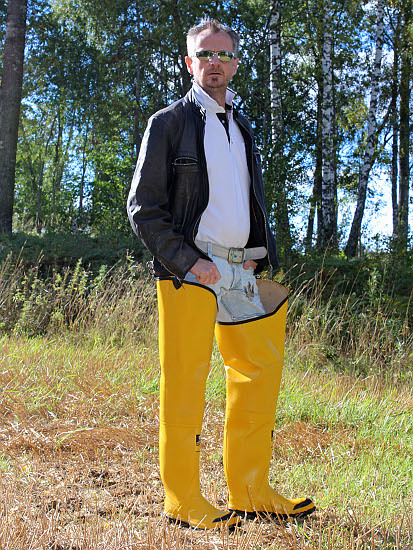 He also has Bullseye X-high Waders. 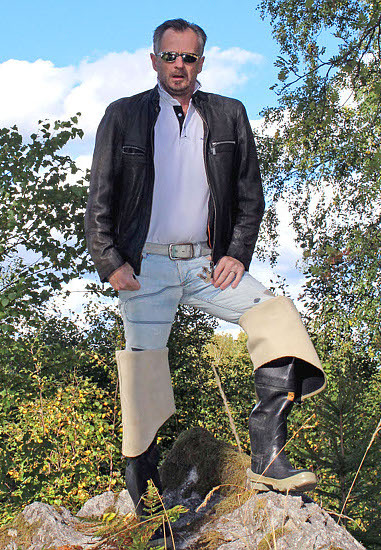 You'll find more of Patrik's boots on page 2.